Weiping Wu, professor and chair of urban and environmental policy and planning (UEP), holds a Ph.D. in Urban Planning and Policy Development from Rutgers University, and a Master’s degree in Urban Planning and a bachelor’s degree in Architecture from Tsinghua University (China). Currently, she is an editor of the Journal of Planning Education and Research, and a visiting Zijiang Chair Professor at East China Normal University in Shanghai. Her research is concerned with how migration affects the socio-spatial reconfiguration of cities, how migrants access the full range of citizenship rights, and how planning and policy influence cities’ economic vitality and infrastructure building. With a record of substantial scholarly and publication activities (in books, articles, chapters, and policy and consultant reports), she contributes to a better understanding of urban dynamics in developing countries, and China in particular. Methodologically, she combines large-scale surveys, in-depth interviews, and statistical and spatial analysis. The National Science Foundation, U.S. Department of Education, U.S. Department of Housing and Urban Development, Lincoln Institute of Land Policy, and World Bank have provided funding support for her research. She has (co)authored and co-edited four books, including Pioneering Economic Reform in China’s Special Economic Zones, The Dynamics of Urban Growth in Three Chinese Cities, Local Dynamics in a Globalizing World, and Facets of Globalization: International and Local Dimensions of Development. At present, she is under contract with Routledge to write a book titled The Chinese City. She has been engaged in multifaceted teaching at the university, national and international levels through classroom teaching, guest lectures, workshops and invited lectures. Her teaching interests are in the areas of comparative urban development and policy, spatial dynamics of the global economy, and the impact of globalization and immigration on cities. 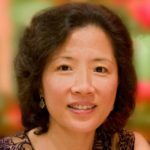 She has been a consultant to the World Bank and a fellow in the Public Intellectuals Program of the National Committee on United States-China Relations. She also serves on the editorial boards of Journal of Urban Affairs, Open Urban Studies Journal, Journal of Urban and Regional Planning (Chinese), and World Regional Studies (Chinese).